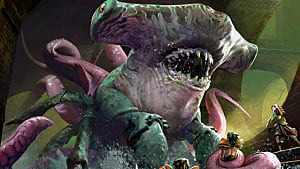 Wizards of the Coast goes back to the plane of Ravnica in the latest Magic: The Gathering card expansion -- Guilds of Ravnica. 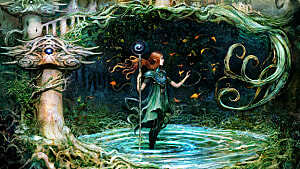 It offers 259 cards that include a large number of bi-color cards belonging to five different guilds: Selesnya (green-white), Boros (red-white), Golgari (black-green), Izzet (blue-red), and Dimir (blue-black). 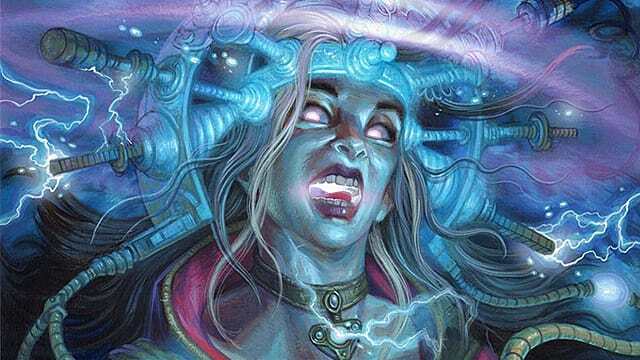 Among all the guilds, the House Dimir is undoubtedly the strongest with its Surveil mechanic, but depending on your proclivities and play style, you may want to go a different route. 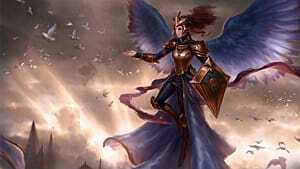 So when it comes to drafting a deck for your limited event, whether it be Draft or Sealed, you can obviously choose to go with one of the five established color pairs. 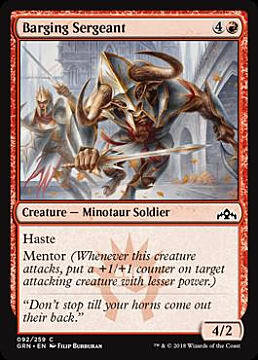 However, if you really want to be effective in this meta, then it's advisable to go for three colors instead of the usual two. 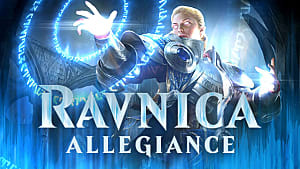 In this guide, you will find several of the most effective triple-color archetypes that will have a huge impact on the Limited events throughout the Guilds of Ravnica season. 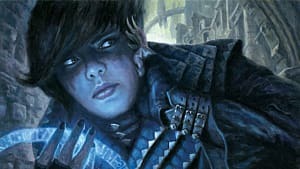 The Grixis archetype can mostly rely on the blue-black color pair for control and include red cards for offensive purposes. 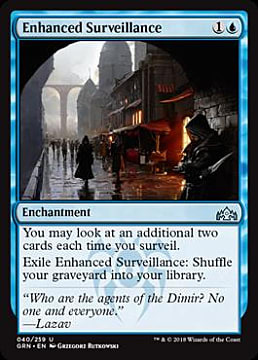 The Dimir Surveil mechanic will help you re-arrange and optimize your draws, while a healthy dose of counterspells, such as Sinister Sabotage and Devious Cover-Up, should help your Crackling Drake and Fire Urchin grow in size. 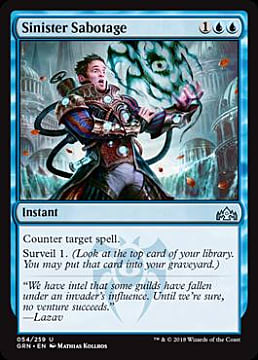 If your draft contains at least 7-8 cards with Surveil, you can start considering putting in Enhanced Surveillance, and a 2-mana enchantment that will double the number of cards you Surveil. 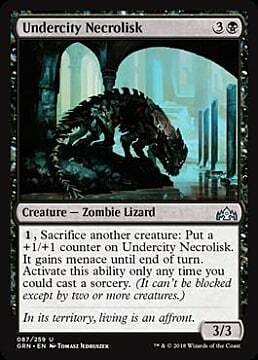 This will make your deck even more effective. 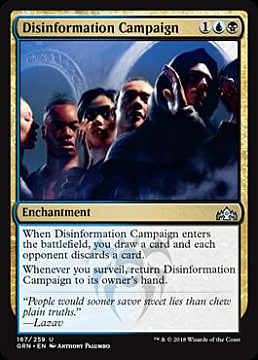 Another great enchantment to have in addition to Enhanced Surveillance is Disinformation Campaign. 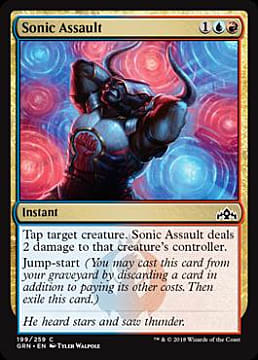 It'll keep your card draw engine going, and at the same time, it'll make your opponent discard cards from hand. 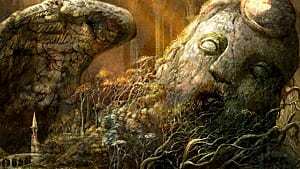 Lastly, don't forget to include as many relative dual lands into your deck as you can -- including the Locket artifacts -- since it'll be quite challenging to manage mana for all three colors of the Grixis archetype. 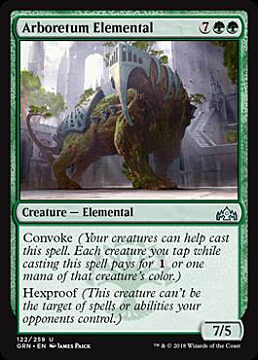 Abzan colors in Guilds of Ravnica have a lot of exciting mechanics, including Convoke, Undergrowth, and Mentor to a certain extent. Together they make up some powerful combos. 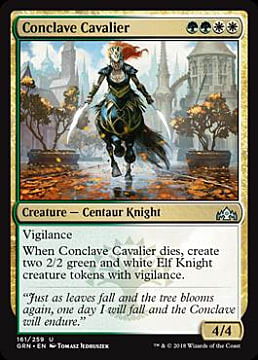 For example, creatures like Conclave Cavalier and Emmara, Soul of the Accord can help cast bigger Convoke creatures and removals (e.g. 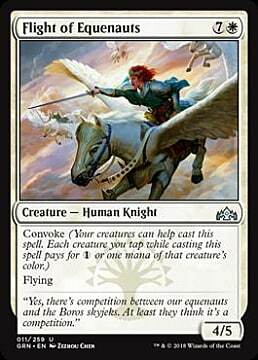 Conclave Tribunal) using tokens. 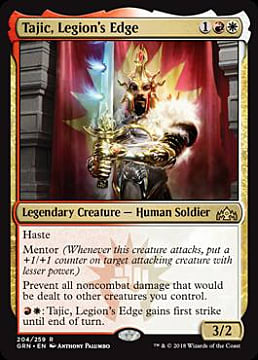 Some of the white creatures with Mentor ability (e.g. 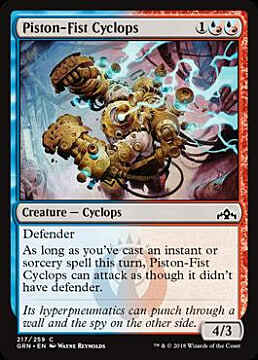 Parhelion Patrol) can help buff your 1/1 tokens, and thus increase the overall power level of your deck. 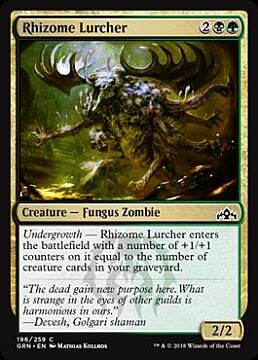 Finally, Golgari creatures with Undergrowth can come onto the battlefield with increased power due to the number of creatures in your graveyard. 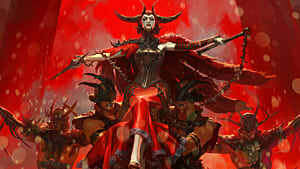 Together these mechanics can turn your Abzan deck into an endless stream of threats that not that many other decks will be able to deal with easily. 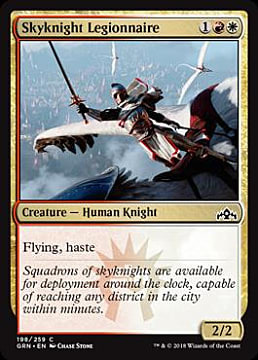 The Boros guild can do wonders on its own, using only white and red cards, but if you add blue to the party, then you can really start pushing some damage. 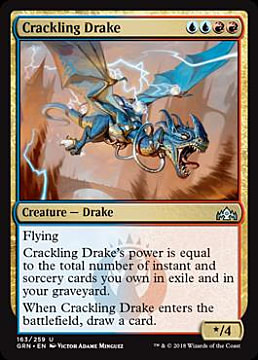 Utilize white-red creatures with Haste and Mentor and burn your opponent with blue-red spells. 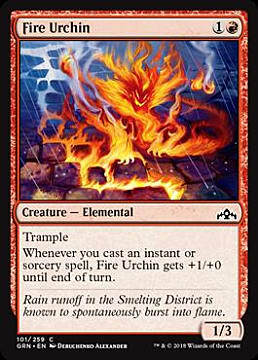 Together these two color pairs can deal excruciating amounts of damage. 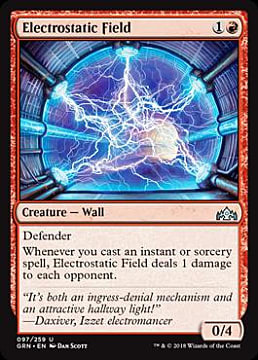 Use a reasonable amount of combat tricks to activate such cards -- like Electrostatic Field -- that can deal passive damage and at the same time protect you from opponent's attackers. 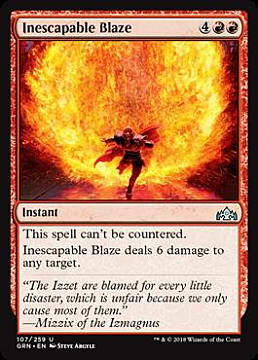 Also, the Izzet guild offers a few spells, such as Hypothesizzle and Ionize, that in addition to countering or drawing, also deal damage at the same time. 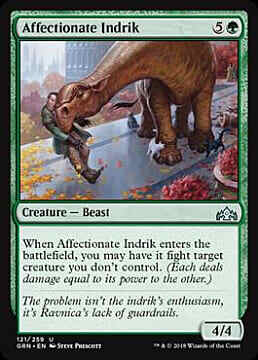 In this case, it doesn't really matter which of the color pairs will prevail in your deck. 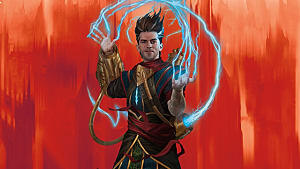 But if you have more Boros spells, then opt for a more aggressive approach, and in case of a larger Izzet group, go for a slightly more controlish game plan. 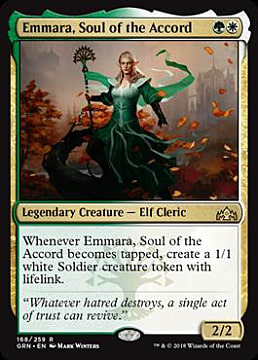 One of the most interesting and definitely very powerful archetypes you can try out throughout Guilds of Ravnica limited events is Temur Ramp. 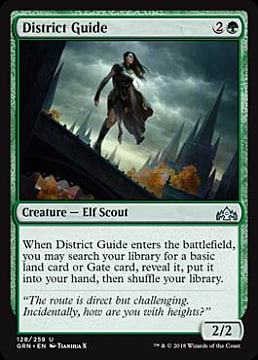 With the help of cards like District Guide and Circuitous Route, you can quickly double up the amount of your mana on board and start churning out expensive green, blue, or red spells. 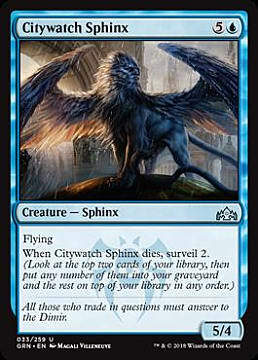 Most of the Draft and Sealed games will be rather slow, so you will have enough time to ramp up properly. 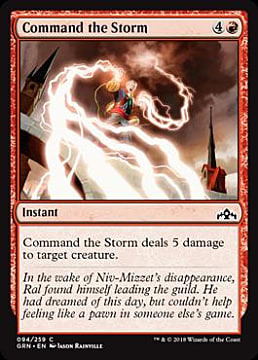 In red, you can find a lot of really expensive but super strong damage spells, such as Inescapable Blaze and Command the Storm, that can be used to either remove opponent's creatures or just straight up go face to face. 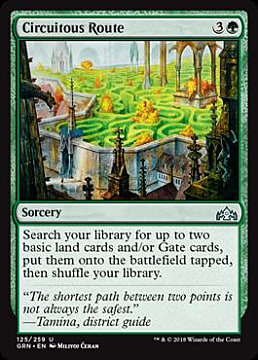 Here, all you have to do is to get the right amount of mana, and you can be almost sure that the outcome will be in your favor. 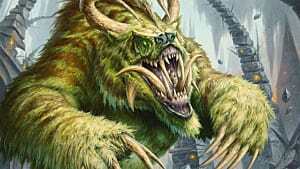 Hopefully, this guide will help you choose the type of deck that corresponds to your playstyle, whether you like to be aggressive or in control of your opponent's actions.